Even with 911s booming in demand, few will match the price or provenance of this Porsche 911 GT1 Evo soon to sell at a RM Sotheby’s Monaco auction. This is thanks to three things. Firstly, the GT1 is more racing mutant than 911. Porsche built the 911 GT1 using a carbon monocoque and spaceframe in 1996 to beat up on McLaren and Ferrari in global GT racing, but things turned out less than stellar for it in the first few years. Compromises made to appease Porsche’s marketing guys while engineering the car meant Porsche’s racing team couldn’t fit the front wishbones it wanted. It was a bit of an understeerer. 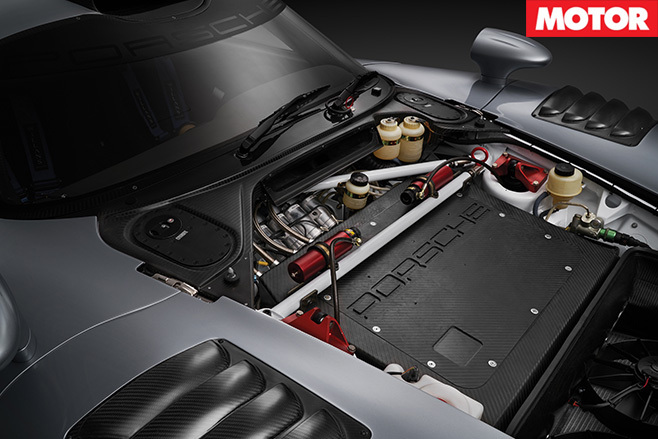 The GT1 Evo, however, addressed this in 1998, and added aerodynamic aids – namely that rear wing—along with 996-gen headlights as part of the upgrade. Porsche then homologated a run to get its hand stamped for racing. That might mean you’ve seen a homologation GT1 for sale before, maybe even on the road. But here's another reason why this one's extra special. Take a look inside. Notice no carpet? Or at the engine, notice no silencers? This is not one of Porsche’s Strabenversions (street versions), this is a full gamut race variant, and someone’s slapped a number plate on its rear to make it the only street-registered ex-race GT1 Evo in the world. 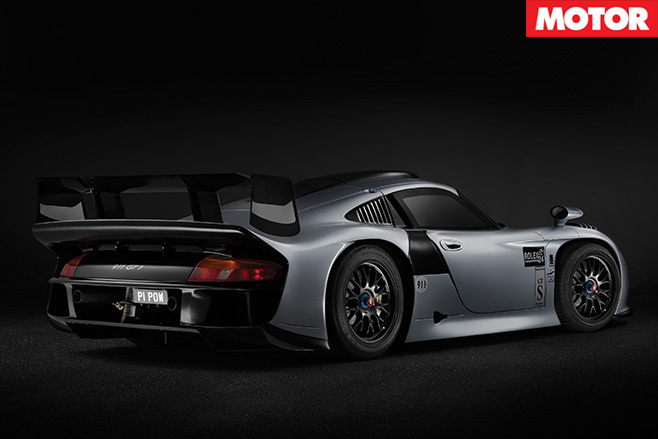 With its race specification comes over 447kW from its 3.2-litre twin turbo six and 100kg less weight than a street GT1. And not only is it driven on road, it’s reported by Top Gear to be the most successful GT1 ever off it, with three Canadian GT titles (’99 to ’01) hanging around its neck. As a result its price is estimated to fetch up to $3m Euros, or $4.4m in local peso, when it sells at RM Sotheby’s Monaco auction. With cashed-up collectors out there, expect the GT1 Evo to go quicker at auction this May than it ever did on track.